Step inside the world of nursing. Experience the life of a nurse by participating in a supervised clinical experience in our high-tech nursing arts laboratory. 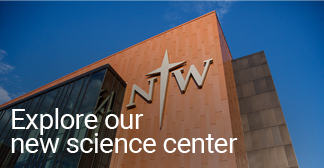 Northwestern's Nursing Mini-Camp will allow you to explore a career in nursing, visit with nursing students and faculty, and learn more about the NWC nursing program. This nursing mini-camp is full and registrations are closed. If you would like to be contacted when the next Nursing Mini-Camp is scheduled, email Pam Reints at preints@nwciowa.edu. For more information or questions, contact Pam Reints, administrative services manager for the nursing department, at preints@nwciowa.edu or 712-707-7220.